Make your flight and racing simulation games even more realistic with the CH Products Pro Pedals USB Flight Simulator Pedals. Three axes of control let you feel brake and rudder movements - just as you would in an actual aircraft. The pedals are sensitive to forward and backward sliding motion for rudder input, giving you an authentic flying experience. A seven-foot USB cord and plug-and-play installation make the Pro Pedals an easy addition to your home computer setup. Adding the Pro Pedals to your system is a snap - simply connect the pedals to an available USB jack and you're ready to go. 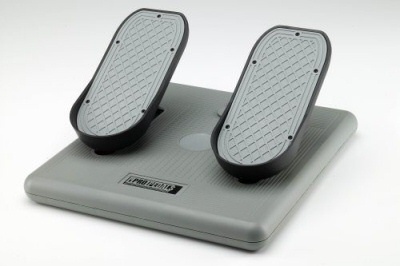 There are no drivers to download, and the Pro Pedals work with both Mac and PC operating systems. A seven-foot USB cord makes it easy to position the pedals where they're the most comfortable and accessible.